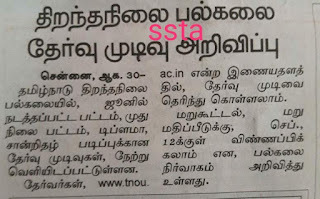 SSTA: Tamilnadu open university exam results published!!! 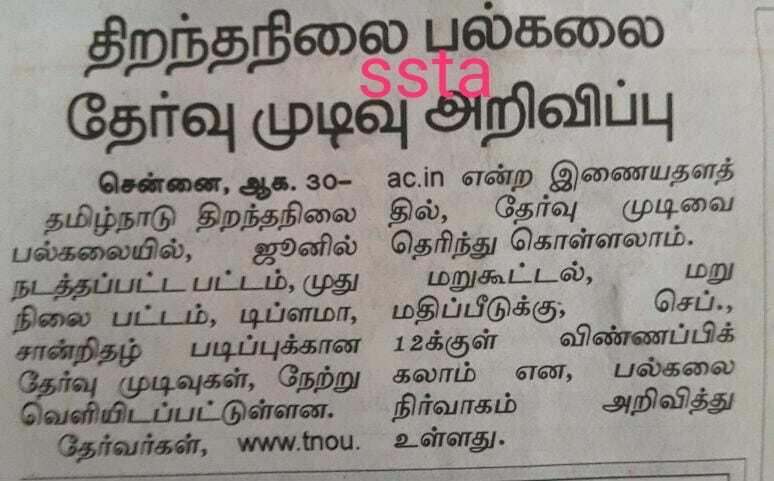 Tamilnadu open university exam results published!! !